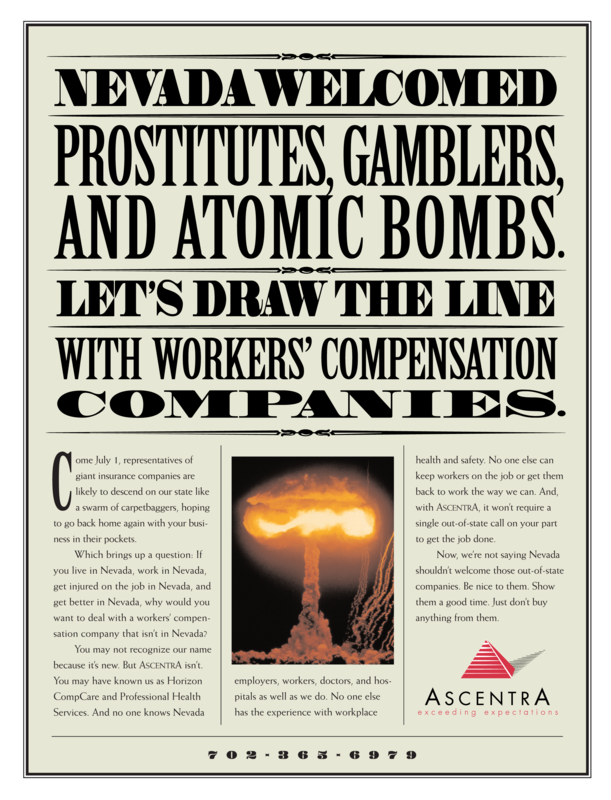 Employers in the state of Nevada were about to be overwhelmed with out-of-state workers compensation insurance carriers taking advantage of a newly opened, privatized, competitive market. Ascentra, a new local insurer, came to us to establish their presence. We advised capitalizing on their unique advantage of being a “local” service. We created a new identity package, collateral pieces, and an ad campaign. The firm quickly achieved a 43% increase in awareness.